Keeping a journal or diary can have many practical uses. Some people like to be able to look back at past times and events and a journal can naturally help refresh our fragile memories. A journal can take on many different forms and with the help of technology there is a form out there for everyone. There is a good chance many of us are keeping journals without even realizing it. Social media is a modern day journal. 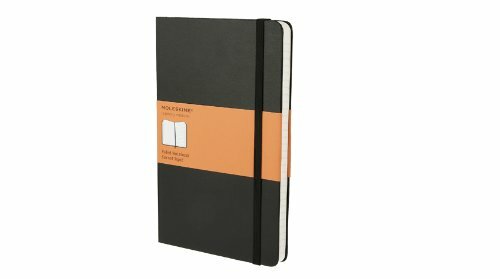 Gone are the days when you would sit at the desk at the end of a long day and jot down some notes in a bound notebook. Paper and pens lose their appeal in the world of instant updates and tweets. Facebook and Twitter are the two main sites that I use. These can be great interactive journals. You can post pictures and activities that you are involved with and then people that you care about can leave their comments. These are all going to be saved under your profile and can be pulled up anytime you want. It is a great way to keep a history of your life's events. With smart phones it is easier than ever to post entries on these virtual journals as the day goes by. You can go on a trip, take a picture, and have it posted to your account in no time. This eliminates the hassle of having to drive to the store and print pictures, only to paste them into a book later. Blogging is another great way to keep a journal. I have a blog that focuses on food and another on weight loss. As I share my thoughts on these two subjects in the blogging world I am making another journal. In this day and age who doesn't have a blog? Again with the advent of technology many of us have our blogs at our fingertips. We can post thoughts quickly or take more time for a well thought out post. Under the category of blogs I would also add there are video and audio blogs available. By combining different forms of media content you can really add diversity to any journal you are trying to keep. When it comes to journal writing I am a traditionalist. I like to stick with the plain old pen and paper. I definitely participate in blogging and social media, but there is something about ink on a blank page that leaves a lasting impression. People have called me old fashioned but I don't care. I have logged nearly every day for the past 6 years in writing in a book. I absolutely love this. I have my own bookshelf stocked with my writing. At a quick glance I am able to see exactly what my life was like 6 years ago. It has provided a great benefit to be able to look back and see how I overcame obstacles and solved problems. If you haven't started a journal I recommend finding a format that fits your personality and then start writing. This is my favorite journal to write in. I love having a uniform size that is hardcover.